Arsenal fans know him as the man who made way for Ian Wright. Nottingham Forest fans remember him forlornly as one half of a successful double act who would be sold against his will. The Trabzonspor faithful may not remember him at all. 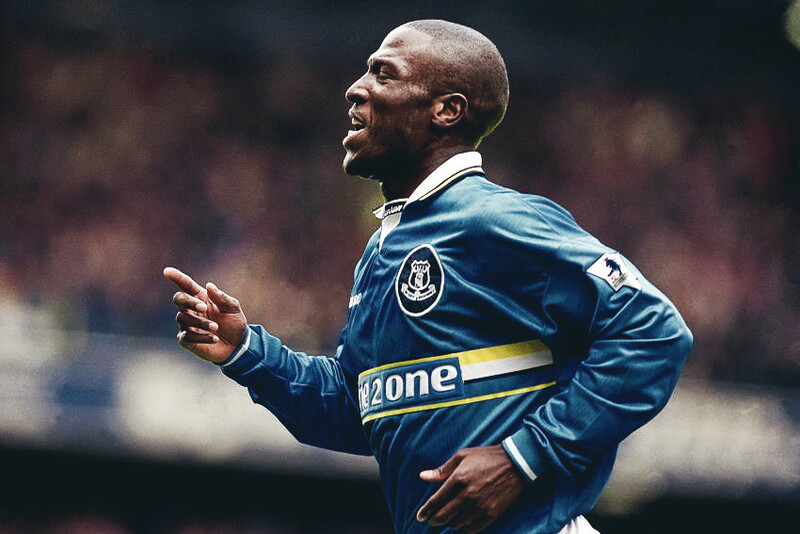 But to Evertonians, he’ll be forever known as ‘Super Kev’: the loan star who saved the club. It’s undeniable from his cheery Lambeth accent that Kevin Campbell is a London native. But it wasn’t until his arrival on Merseyside four years after leaving the capital that he would find his spiritual home. As fate would have it, Campbell made his first senior appearance for Arsenal at Goodison Park in May 1988. An academy graduate eager to announce himself to the footballing world, he could not have known then as he stepped out in front of the Grand Old Lady that it would be the home support rather than the away fans cheering his name some 11 years later. Despite scoring eight times in 10 games in Arsenal’s title winning season of 1990/91, the form of Alan Smith and Paul Merson blocked Campbell’s path to regular first team football. Ian Wright’s arrival for the following campaign was the beginning of the end and despite scoring a further 47 goals over the next four years, Campbell would have to leave his boyhood club if he was to find regular first team football. When north London failed to provide the desired route for a successful career in the top flight, Campbell tried the East Midlands. Hitting the back of the net 33 times in three seasons, he formed a lethal partnership with Pierre van Hooijdonk and the deadly duo’s goals helped Forest to the 1997/98 First Division title. But when Forest accepted a bid for the striker from Turkish side Tranzonspor, Campbell found himself reluctantly packing his bags once again. Would Campbell find peace abroad? Quite the opposite. His haul of five goals in 17 appearances was a decent return for a Lambeth lad settling with family on the shores of the Black Sea, but Campbell would not finish the campaign, his time cut short amid accusations of racist abuse from Trabzonspor’s club president, something Campbell has since rubbished as a case of Mehmet Ali Yılmaz’s words being mistranslated. It was time to leave – again. 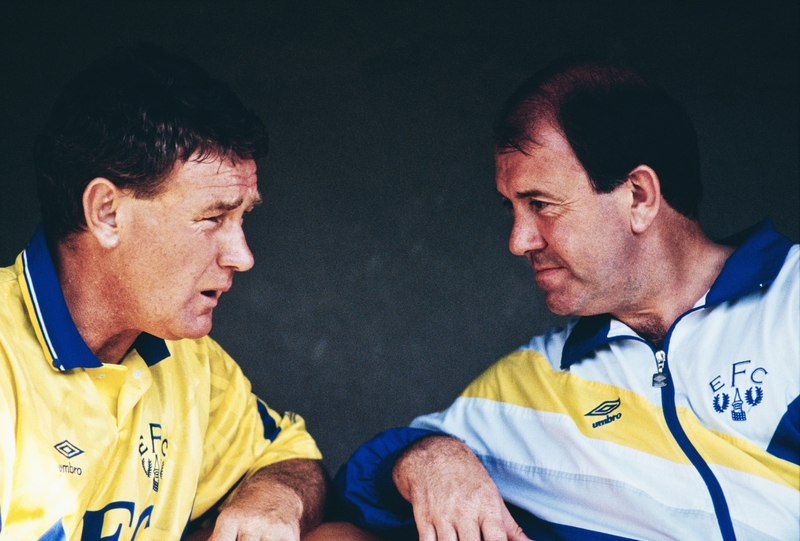 In the spring of 1999, Everton were in a mess. Languishing in 17th place in the Premier League, with a point separating them and 18th-placed Southampton, relegation was a spectre hell-bent on dragging the Toffees into the lower reaches of the Football League. It haunted them through the 90s. They needed last-gasp, final-day exorcisms in 1994 and 1998 to rid themselves of its horrors, saving themselves from the drop in spectacular – and some might say supernatural – fashion. Surely, though, Everton could not outrun fate for a third time. Few expected that would change when Walter Smith turned to Campbell, himself haunted by a failure to find a sense of belonging at his clubs and on the verge of picking up that unshakeable scarlet letter of football tags: the journeyman. A player who couldn’t keep his place at Arsenal, who had had a series of loan spells already at lower league clubs, whose most prolific form had come in the second tier of English football and who was being forced to leave Turkey after just eight months. Was Campbell really the man to save them from the drop? Evertonians didn’t think so and they were not about to be convinced after defeat in Campbell’s first two games. Losing to Liverpool is bad enough at the best of times, but knowing that defeat could be one of several final nails in the relegation coffin made it even more unbearable. Campbell’s first game in blue came at Anfield and he could do little to prevent his new side slumping to a 3-2 loss, despite Olivier Dacourt putting Everton ahead inside a minute. Just two days later, amid a hectic Easter fixture period of three games in nine days, Everton hosted Sheffield Wednesday, themselves scrambling away from the drop zone. Could a boisterous home crowd give Campbell the lift he needed and spearhead their escape? It seemed not. A Benito Carbone double all but guaranteed Wednesday’s survival, and with Charlton picking up three points on the same day, it meant Everton dropped into the relegation places for the first time since a run of one point from their opening three games back in September. Coventry City were the next team to come to Goodison Park and perhaps it was fitting that it was against the Midlands outfit – against whom a 1-1 draw had been enough to avoid the drop on the final day a year earlier – that their revival began. Not least, it ushered in the birth of a new Gwladys Street hero. Campbell made his third start for the club and rewarded Smith’s persistence with the first two goals of his Everton career. The first came as he rounded Magnus Hedman after a through ball from strike partner Francis Jeffers, a teenage prodigy who would go on to make the reverse journey Campbell had made from Highbury, albeit more directly and with less success. He completed his brace in a nervy second half when Nick Barmby crossed from the byline, showing the kind of instinctive movement and quality in front of goal that Everton were going to need if they were going to save themselves for a third time. The win lifted the Blues up to 16th but they were only three points ahead of the drop and there was plenty of work left to do. With five games to play, that magic 40-point mark was just two victories away and now that Campbell had found the net, it didn’t take long for Everton to reach it. A trip to the north-east to face a talented Newcastle side featuring Britain’s most expensive player Alan Shearer, Temuri Ketsbaia and former Goodison hero Gary Speed was a daunting task. But Campbell continued where he’d left off the week before, netting inside a minute and scoring a second moments before half-time in a 3-1 win. Next up were relegation strugglers Charlton at home. Scoring had been a problem for Everton all season and with four games to play, they had notched fewer goals than their relegation opponents. But with their new loan signing finally on the goal trail, Evertonians were confident that they would get the win that would all but seal their safety, while condemning the Londoners to the drop. Campbell started and kept up his incredible run of form, putting Everton 2-0 up by half time with his fifth goal for the club, a scrappy effort that required two bites of the cherry. It’s with affection that Campbell would become synonymous with this type of goal (the song “scores in a scramble” is still a big hit with Evertonians) despite being a fine finisher. His second and Everton’s third was far more elegant, as he played a one-two with Jeffers before heading home his partner’s perfectly-executed cross. Jeffers would go on to add a fourth before ex-Evertonian Graham Stuart could reply for the visitors, and with it, the Toffees’ top-flight status was all but secured as they reached 40 points. Shockingly, Campbell failed to score in his next outing as the 3-1 defeat at Chelsea brought his emphatic goal-scoring run to an end. But as if to make up for the ‘barren spell’, and as if in celebration of Everton’s survival, Campbell bagged his first hat-trick for the club in the final home game against West Ham. 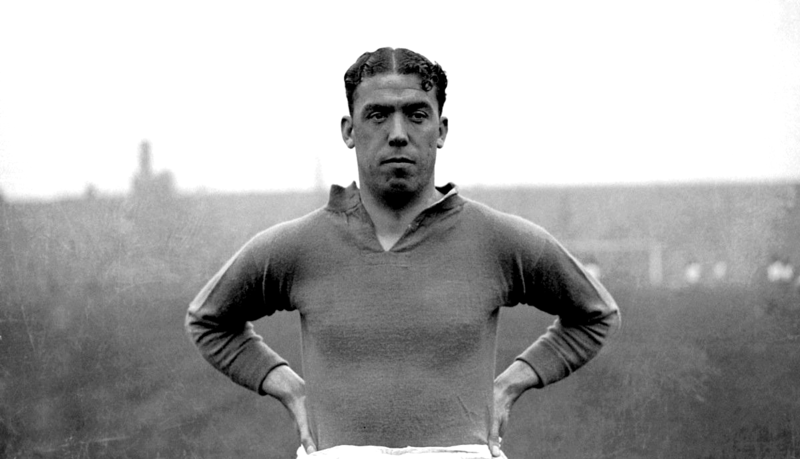 Everton’s undisputed player of the month – and officially the Premiership Player of the Month – scored the first in a 6-0 rout. The first may have been a bundled effort from a corner but the second and third were excellent moves finished off with decisive finishing; demonstrative of the kind of football Everton had begun to play with Campbell in the side, and the likes of Jeffers, Don Hutchison and Barmby supplying him. When Campbell arrived on Merseyside, Everton were in 17th place with 31 points, having scored just 25 times in 31 games. In his eight-game loan spell, he scored nine of his own and helped the Toffees score 19 times. They eventually finished 14th, on 43 points, and Campbell’s role in steering the club away from relegation is not forgotten among Evertonians, even in 2017 when the perils and spectres of relegation are thankfully just the nightmares of a club who have come through a tough couple of decades in their history. Unsurprisingly Campbell’s loan was made permanent and the striker would go on to play 139 times for the club, scoring 51 goals over his eight-year association. While a series of injuries ensured he never quite kept up his better-than-a-goal-a-game ratio, ‘Super Kev’ certainly found a home at Goodison Park and is still adored by the blue half of Merseyside, not least for his record of being the last player to score a winning goal for the Blues at Anfield.